Peacefully, on January 31, 2019 at 82 years of age. Reunited with her beloved husband Sylvestre Gionet. Loving mother of Rebecca (Pete), Arlene (Rick), Patrick (Mary), Tammy (John), and the late Cynthia. Sadly missed by her many grandchildren, great-grandchildren and great-great grandchildren. Dear sister of Terry (Marlene), Colleen and the late David. If you so desire, donations to the Humane Society of Windsor & Essex County would be appreciated by the family. 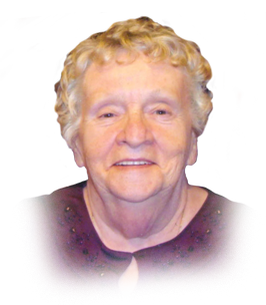 Visiting Monday 11:00 a.m. until time of funeral service at 1:00 p.m. at Families First 3260 Dougall Ave. South Windsor, 519-969-5841.